Between 1874 and 1876 plans were prepared and construction commenced. It is said that some four million bricks were used, the bricks being supplied by a Mr W Wells of Rydes Hill, Guildford. In 1876 the licensing authorities approved an application to build The Royal Hotel. 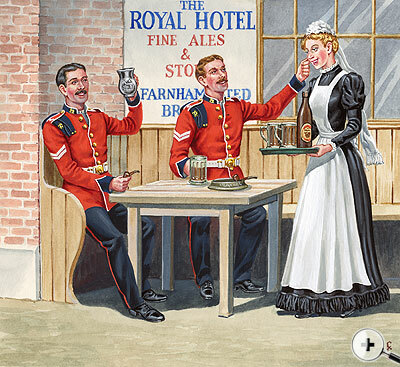 It was to become a favourite 'watering hole' for many Queensmen during the occupation of the barracks. In 1876 the first description of the new barracks was published in the local paper, 'The Surrey Advertiser & County Times'. It revealed that the barracks was to house up to 300 men of The 2nd or Queen's Royal Regiment and would also be the Headquarters for The 2nd Surrey Militia when they were called for training. The barracks were completed in 1876 and its first official title was 'The 48th Brigade Depot'. Because of the imposing entrance and The Keep it immediately became a local landmark. In 1878 the public house 'The Royal Hotel' was opened. 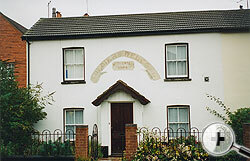 A new married quarters block was built opposite the barracks in Barrack Road. Under the Cardwell Reforms in 1881 The 2nd or Queens Royal became The Queen's Royal (West Surrey) Regiment and the title 48 Infantry Brigade Depot was abolished. The census which was carried out during the year revealed that 500 men, women and children were living in Stoughton Barracks. Both regular battalions of the Regiment had seen service abroad since the barracks had opened. During the Boer War reinforcements were mustered and dispatched to South Africa including elements of the local Militia unit. 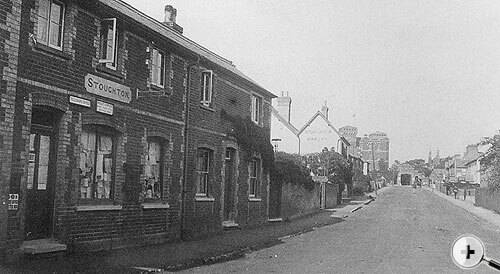 Barrack Road, Stoughton. One of the original married quarters. A new site plan published in 1904 now held by the Guildford Museum, shows the new drainage layout and records the row of single storey cottages opposite the main entrance as 'Married Soldiers Quarters'.